How nice to be able to sit down in the afternoon and have tea and scones. While in England that was such a treat that one looked forward to. 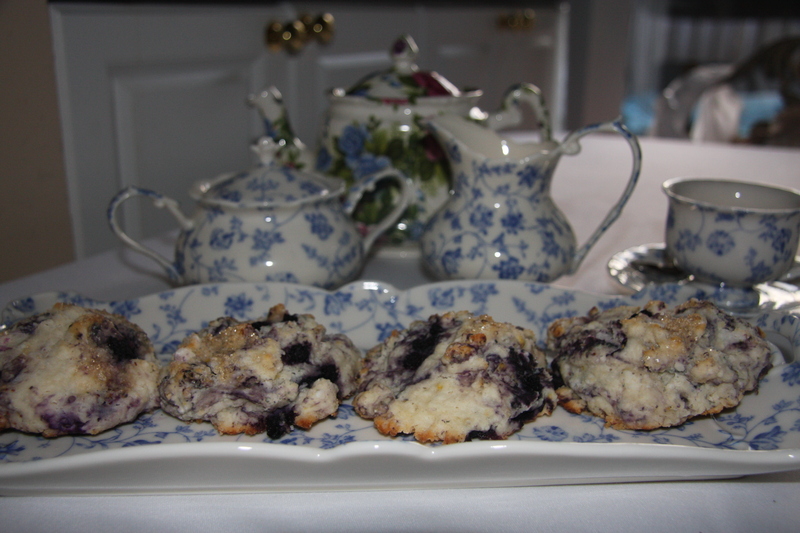 To walk into a tea room and choose from the many freshly baked scones was like being in heaven. And then to sit down and enjoy it with a piping hot pot of tea, you had to pinch yourself to realize it was truly happening. I can honestly say I have not had a proper cup of tea since being back from England. No matter where you went, Buckingham Palace, Harrods or the tea room around the corner, the tea was out of this world. I could never understand why everyone in England was so into their tea. But after trying it I did. I really don’t know how they can make it so tasty and inviting but they do. I have tried to do exactly the same thing at home but no, it still doesn’t taste the same. I even purchased their tea to bring home, nope still not the same. The British sure know how to make the best cup of tea. If anyone out there can tell me, please contact me through my blog and let me know. I really miss it. Well at least I can make scones. With the many recipes I have, no two taste alike. Each have their own taste and personality. Some are round and high. Some are round and low. Some are even cut like pizza slices. Some sweet, some not so sweet. My favorite are the ones that are soft, moist and topped with clotted cream and jam. I still think the British ones are the best. Here is a recipe that I make from time to time that came from a craving I had one afternoon. A craving that helped me come up with this recipe. As you will be able to see, cravings can be dangerous things. Just remember you don’t have to be in England to enjoy a sit down in the afternoon and have tea and scones. Into a jar add 1 cup of plain yogurt, 1/4 cup sour cream, 1/3 cup of sugar, 1/3 cup of half and half or as I used 5% cream, juice of 1 lemon and it’s zest. Give it a good shaking until well blended. Set aside. 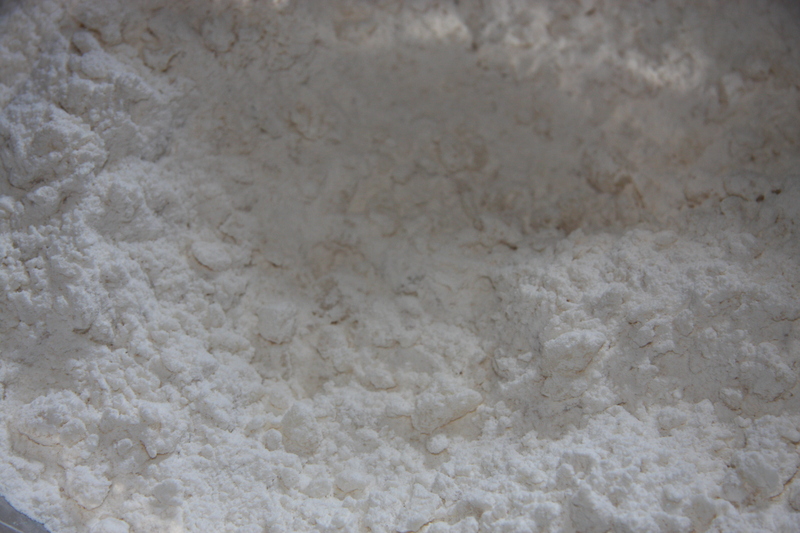 Start off with 4 cups of flour, 4 tablespoons of baking powder and 1 teaspoon salt. Mix it well. 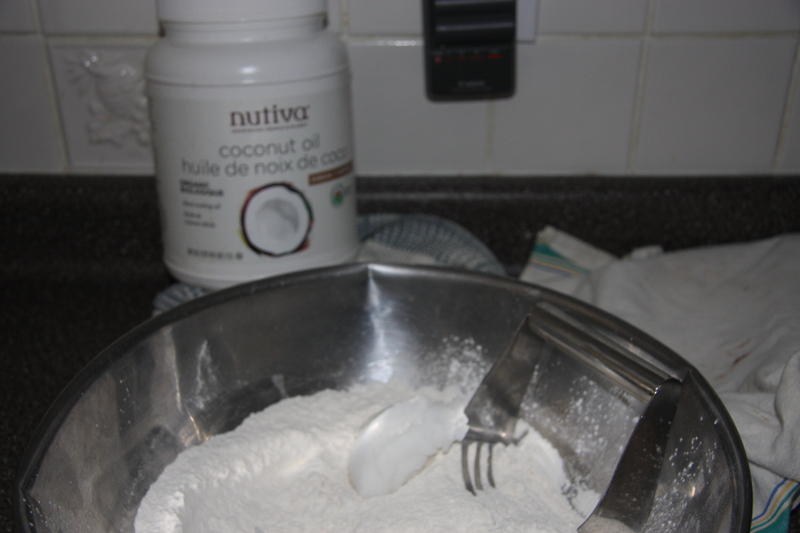 Add in 1- 1/2 cups of coconut oil, the hard one. Cut the coconut oil in with a pastry cutter until it looks like you have little small peas. 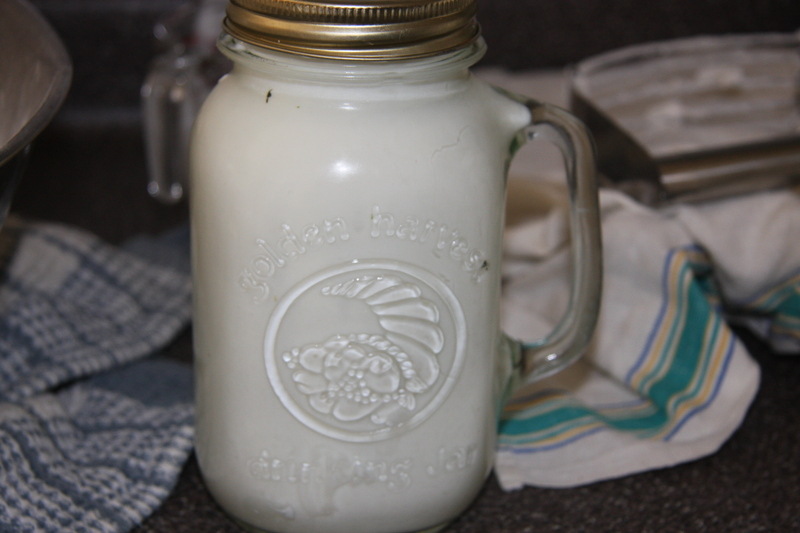 Next add in the liquid from your jar and slowly begin to mix but making sure not to overwork it. 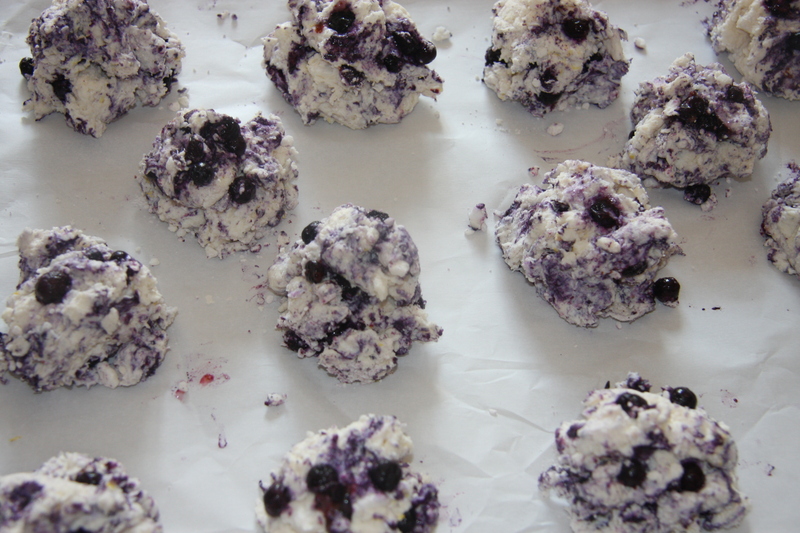 Then add in 1-1/4 cup of frozen blueberries very gently, making sure all is incorporated together. 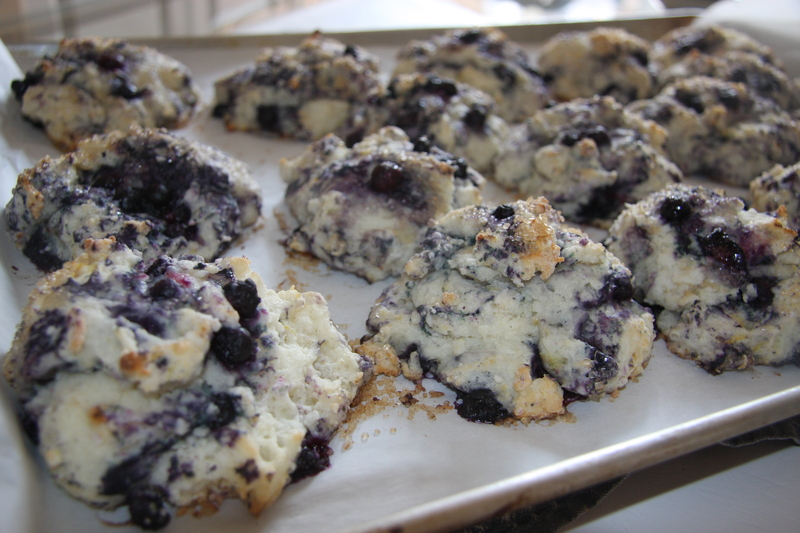 Drop onto a parchment lined pan, topping each scone with a coarse sugar and bake at 350 degrees until golden in color on the bottom approximately 12-15 minutes. Tah Dah! Cool, make a pot of tea and have a sit down. Close your eyes and just savor the moment. Pretend even though it be a little while, that your in the place you want to be enjoying what you have baked. Add yogurt, sour cream, sugar, lemon into a jar and shake well. Next add flour, baking powder, salt and lemon zest together in a bowl and mix well. Slowly add the contents of the jar mixing very carefully not to overwork. 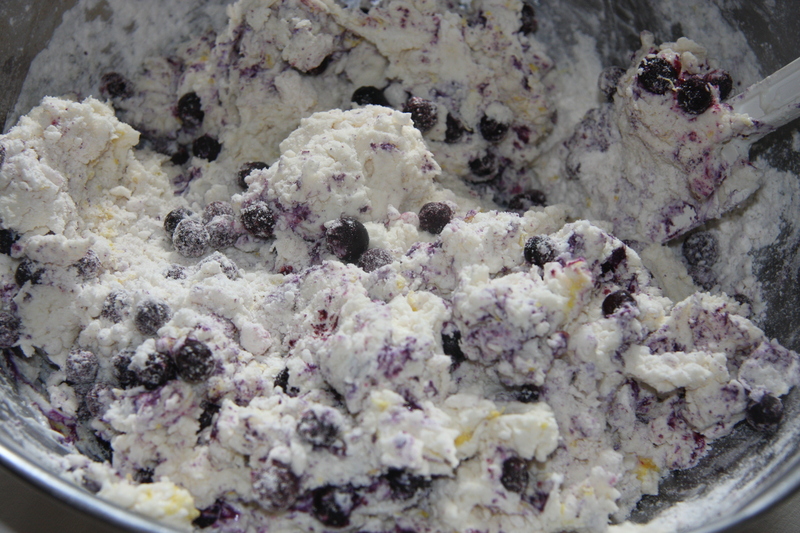 When all the flour has been brought together lightly add the blueberries. Combine. Drop the dough onto a parchment lined pan, sprinkle with coarse sugar. Bake at 350 degrees until golden on the bottom and not wet on the inside.